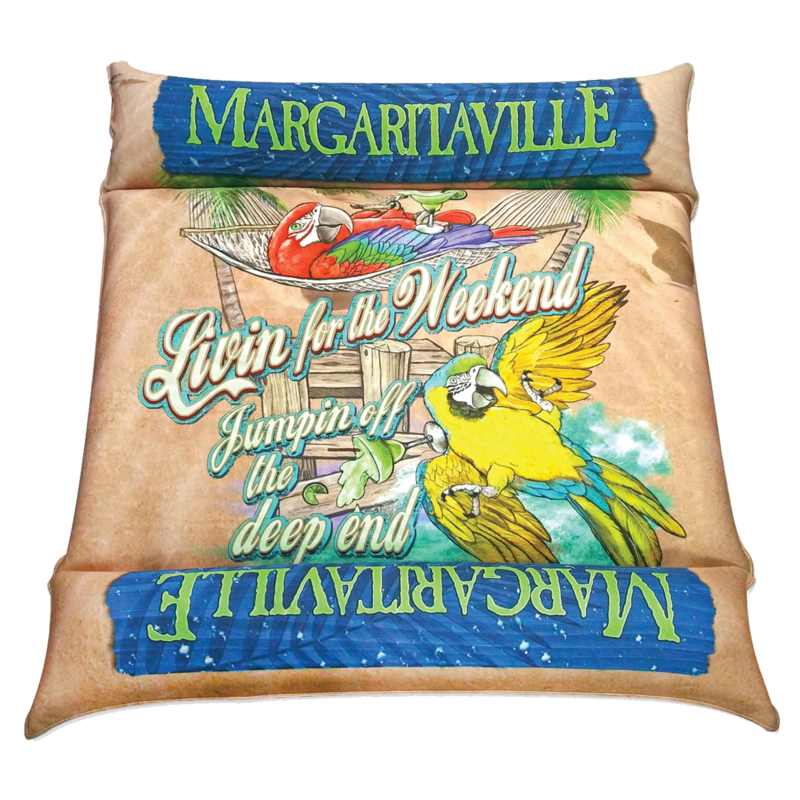 The Margaritaville Neoprene Double Pool Float is an oversized pool mattress lounger that measures 72" x 60" It is designed for use in and around the pool. 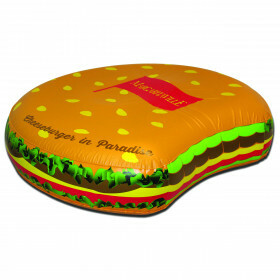 The float is constructed using a heavy duty PVC Bladder Float Comfort System that allows you to inflate soft for a hammock style experience or firm like a more traditional pool float. This pool mattress also features a large main body with 2-ultra-comfortable pillows at both ends that double as a headrest and footrest. Includes quick inflation valves on both pillows and body. Artwork reads "Livin for the weekend." Made for two loungers. Imported.